Saturated fats from animal and vegetable sources provide a concentrated source of energy in a diet. 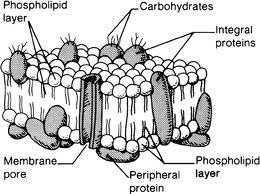 They provide the building blocks for cell membranes and a variety of hormones and hormone like substances. Saturated fat will not increase the risk of heart attacks. Saturated fats eaten with a meal slow down absorption and extend the time before the feeling of hunger returns. They also act as carriers for important fat-soluble vitamins A, D, E, and K. Dietary fats are also needed for the conversion of carotene to vitamin A, for mineral absorption, and for a host of other biological processes. Saturated fats are found in animal products such as butter, cheese, whole milk, ice cream, cream, and fatty meats. They are also found in some tropical plants and vegetable oils such as coconut, palm, and palm kernel. Trans fats form when vegetable oil hardens, a process called hydrogenation, and can raise LDL (bad cholesterol) levels, and lower HDL (good cholesterol) levels, which of course is the complete opposite of what is needed to maintain good heart health. Hydrogenated fats can clog arteries and lead to type 2 diabetes. Research has also found that trans fats contribute to cancer, bone problems, hormonal imbalance, and skin disease; infertility, difficulties in pregnancy, and problems with lactation; low birth weight, growth problems, and learning disabilities in children. Despite the ill effects trans fats have on our health, many food companies use trans fat instead of oil because it reduces cost, extends storage life of products, and can improve flavor and texture. 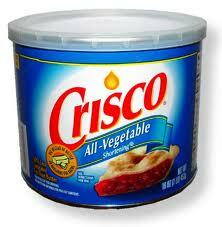 Man-made trans fats are unsafe at any level! Monounsaturated fats include olive oil and canola oil. Of the two, olive oil is the better choice. Only use organic UNREFINED oils. 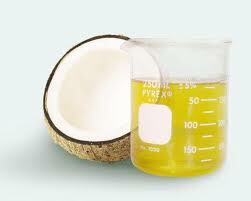 Cook with organic coconut oil, first press organic unrefined virgin olive oil or sesame oil. Coconut oil is great to cook with since it is far less likely to be damaged through heating. Unrefined oleic sunflower or oleic safflower are good too. Peanut oil if organic is anti inflammatory both orally and topically. Castor oil as a laxative 1-2 tablespoons at bedtime or as a poultice for cysts, tumors, warts or toxic accumulations. Flax seed oil (alpha-linolenic acid) should be consumed daily. Store oils in sealed glass containers in the refrigerator. Avoid heat, light, and air to reduce rancidity. 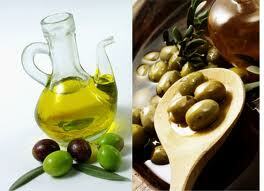 Olive oil is highly recommended because it has a fat in it called squalene. This is a potent antioxidant and will protect the fish oil from going rancid (becoming oxidized) once it is in your body. Avocados, walnuts, egg yolks, coconut oil, and butter are additional sources of acceptable fats. Never eat commercially prepared French-fries. They are one of the most toxic foods you could eat. Most contain 100 percent trans fatty acids! Never eat margarines. They are another source of trans fatty acids. Please share this information with EVERYONE you know! Join us on July 4, 2012 when we S.T.A.R.T. (Select Toxins Are Removed Today) a change by joining together and using buying power to force food and product producers to hear our demand for healthier, non toxic lifestyles.